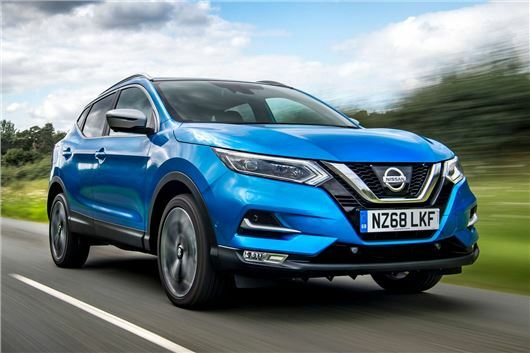 The Nissan Qashqai is now available with a 1.3-litre turbocharged petrol engine as a replacement for the outgoing 1.2- and 1.6-litre engines. Available with 140PS or 160PS, the all-new DIG-T engine is on sale now paired with a six-speed manual gearbox. A seven-speed DCT automatic transmission will follow in November, available with the 160PS version. All models are front-wheel-drive. Prices start at £19,530 (up £230 compared to the 1.2) for the Visia 1.3 140, while the range-topping Tekna 1.3 160 costs £28,595. Prices for the automatic versions are yet to be announced. It's the first time the new engine, developed by the Renault-Nissan Alliance, has been used in a Nissan - but it's already on sale in the Renault Captur and Scenic. In the Qashqai, both 140PS and 160PS variants will return 49.6mpg when paired with a manual gearbox and fitted with 18- or 19-inch wheels. CO2 emissions are rated at 130g/km. Opting for 17-inch alloys improves these figures to 53.3mpg and 121g/km CO2. As well as being more efficient, Nissan says increased torque from the new engine provides a smoother response at low RPM, while quicker acceleration makes for safer overtaking manoeuvres. Compared with the old 1.2-litre engine, the lower-powered Qashqai produces an extra 50Nm of torque, at 240PS, while the 160PS engine has 260Nm with the manual gearbox. With the DCT automatic gearbox, it produces 270Nm. The Nissan Qashqai is on sale now with the new 1.3-litre engine.